You knew his family was picturesque. 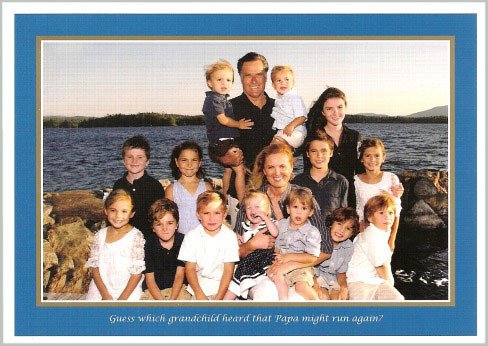 Mitt Romney’s presidential campaign just sent out a Christmas card featuring the entire Romney Family, and they are as picturesque as ever. Presidential campaigns often use the holiday season as a theme for voter outreach, although it’s a delicate line. The pivotal Iowa caucus lands just a week after Christmas, so the holidays present a homestretch of fevered campaign activity, but it’s also a challenge for candidates to stay on voters’ minds without interfering with the season. Christmas cards are an easy way to thank supporters and drop direct mail. Last cycle, the Christmas politicking in Iowa was quite overt, with several top candidates cutting television ads that fused Christmas greetings with their campaign appeals. But I don’t think any of this year’s candidates can compete with the sweater-clad chutzpah of Mike Huckabee, who ran a very popular Christmas political ad decrying political ads. 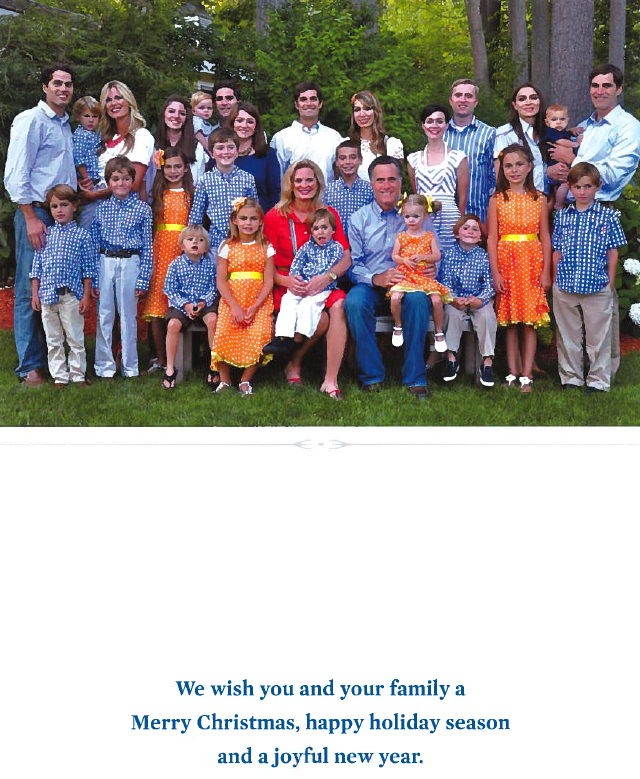 PS: Here is Romney’s card from last year, also very adorable.